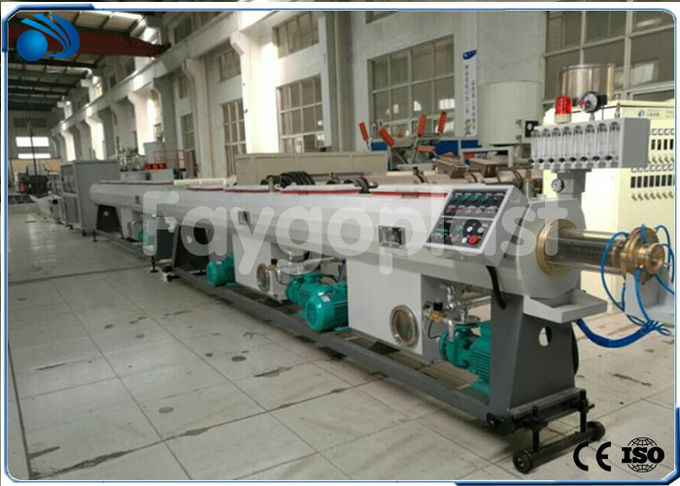 With the experience of plastic machine development and design, this high speed pipe production line for PP PP-R pipe is developed. 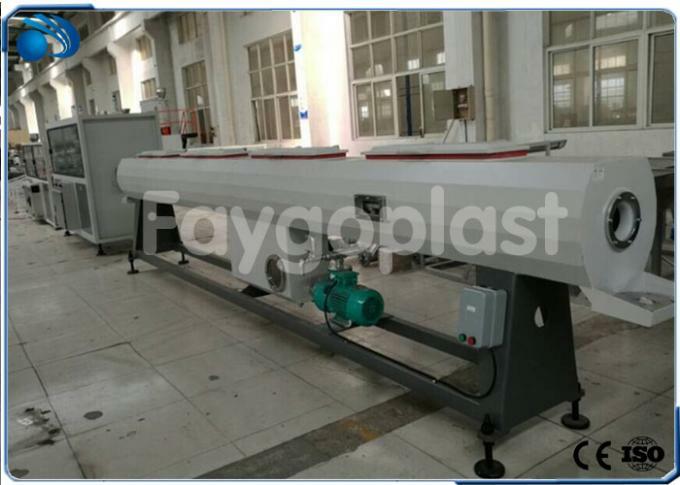 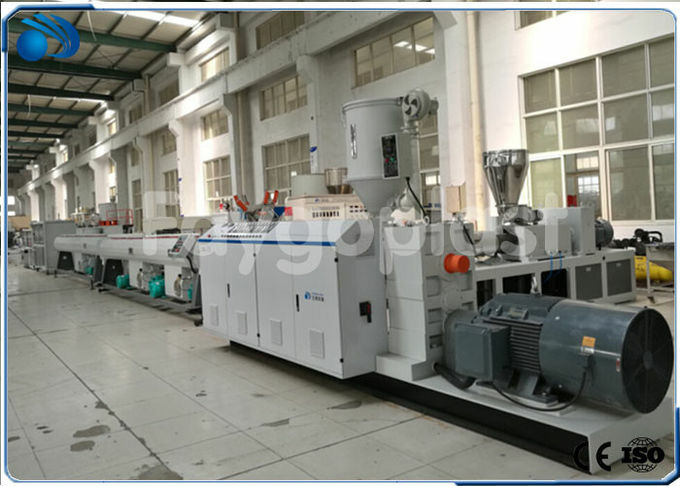 This line adopt high speed extruder with high speed down stream equipment and the max production speed could be 35m/min (base on 20mm pipes). 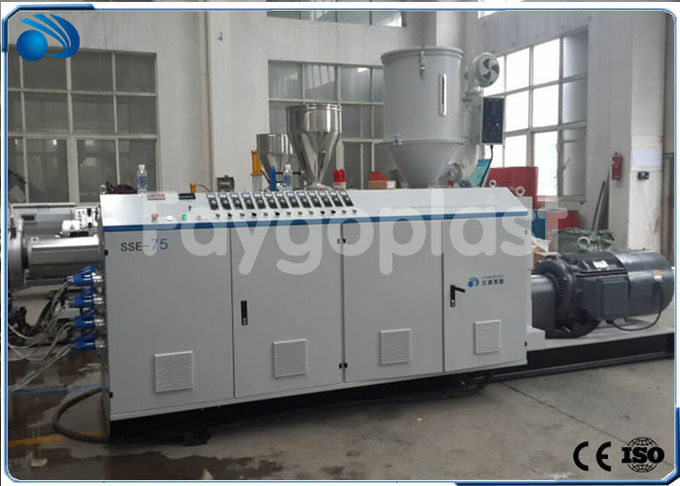 This pipe production line using energy efficient single screw extruder with special mould, production efficiency than single high-speed production line increased by 30%, energy consumption lower than 20%, also effectively reduced labor costs. 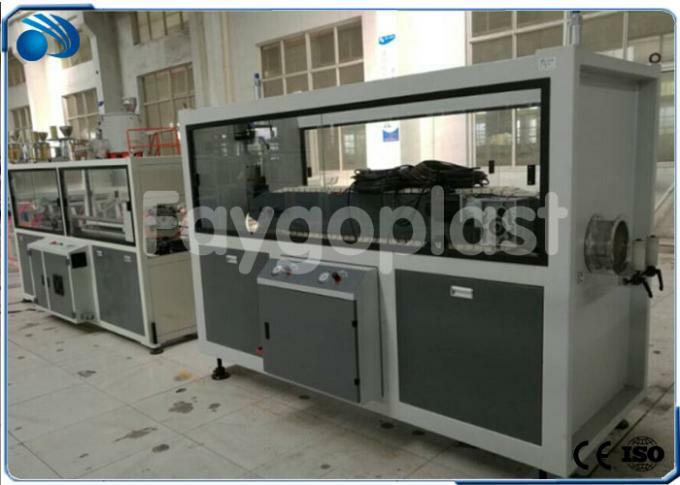 The production of PE-RT or PE tubes can be realized by the appropriate transformation of the production line.